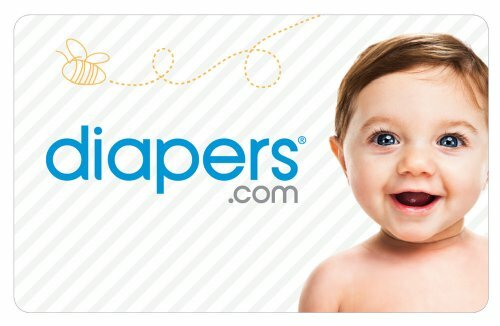 A Diapers.com gift card is the perfect present for new parents. They can use it to order all of their favorite baby essentials, plus car seats, strollers, nursery furniture and more. And here’s the best part: your gift recipient will enjoy free 2-day delivery (or faster) on orders of $49 or more (See legal disclaimer for more details). From diapers, wipes, formula and baby food to cribs, car seats, clothing and strollers, Diapers.com has all your favorite baby products and brands. Gift cards are redeemable across all of our Familyhood sites: Diapers.com, Soap.com, Wag.com, YoYo.com, BeautyBar.com, Casa.com, AfterSchool.com, Vine.com, Bookworm.com and Look.com. If you would like to personally deliver your gift card, simply enter your address in the recipient’s shipping address field. your gift recipient will enjoy free 2-day delivery (or faster) on orders of $49 or more (See legal disclaimer for more details).